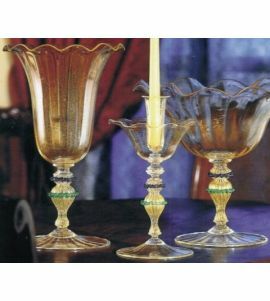 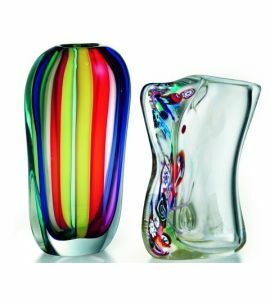 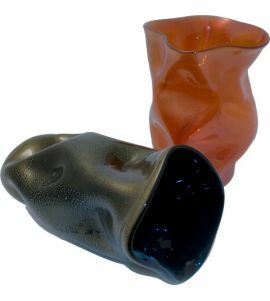 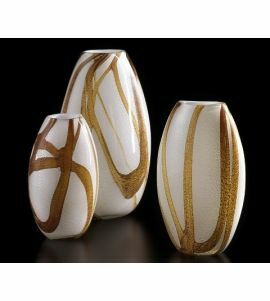 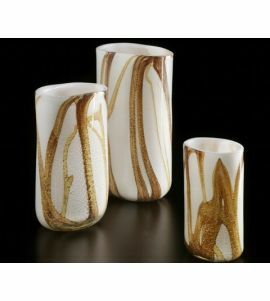 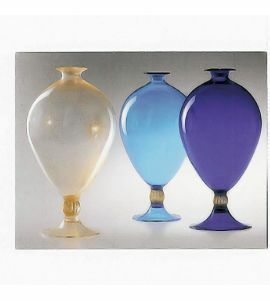 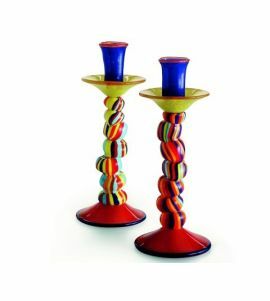 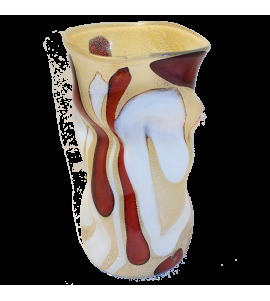 This category houses our unique collection of Glass vases, bowls, candlesticks, candelabras, cornucopias, backsplashes, all of them handmade from Venetian Glass using traditional glassmaking tools like the wheel and the process of mouth-blown transparent glass or pastel glass. 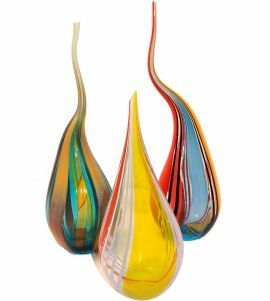 They are perfect decorations for your home, regardless of style and architecture. 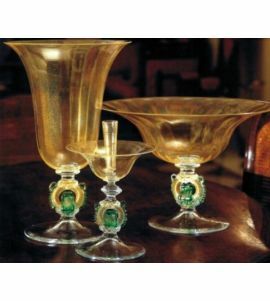 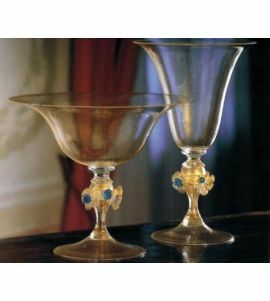 We have classic and baroque pieces as well as modern and contemporary designs to choose from. 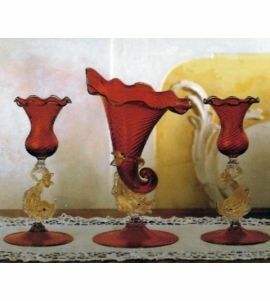 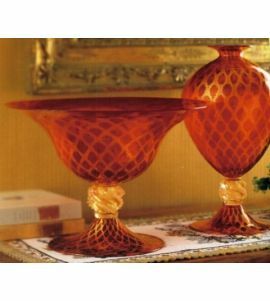 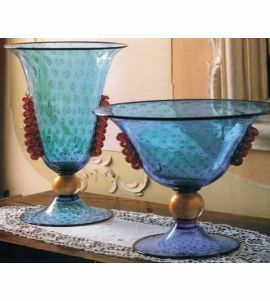 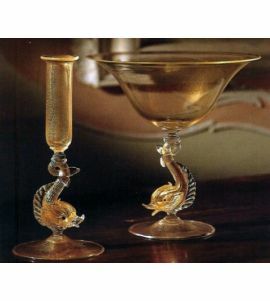 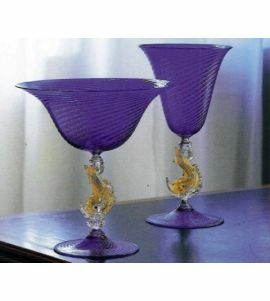 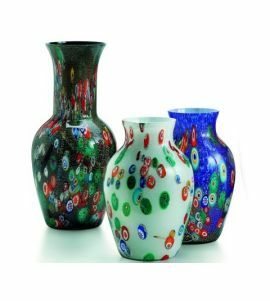 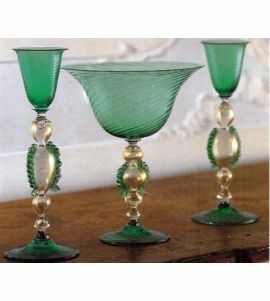 Whatever your tastes, you will surely find something to your liking, a piece of Venetian Glass Art which will complement the rest of your home decorations and enhance the atmosphere and mood in your personal space.